Have tasks that aren't ready to be assigned to your team yet? Need a planning space for future hires? Unassigned Roles act as a backlog for tasks and are accessible directly on the Schedule, making it easy to drag and drop work as needed. From the People page, select Add and name your resource (e.g., Unassigned Designer, New Hire, Miscellaneous Tasks, etc.). Leaving the name field blank will create an "Untitled" resource. 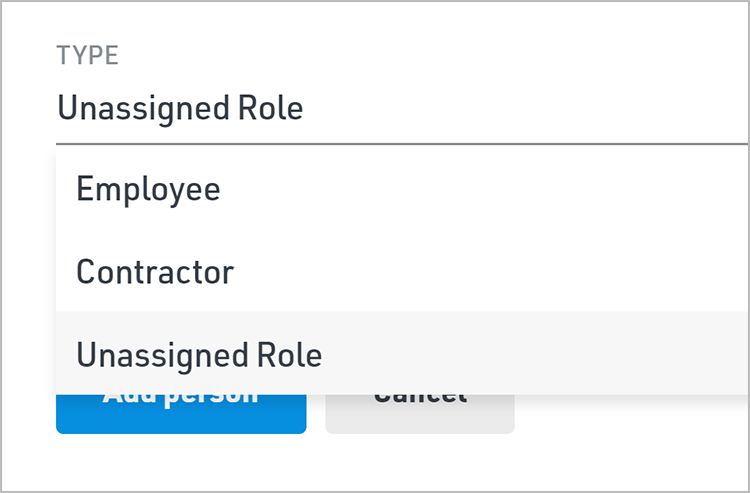 Select Unassigned Role from the Type tab, and click Add Person. 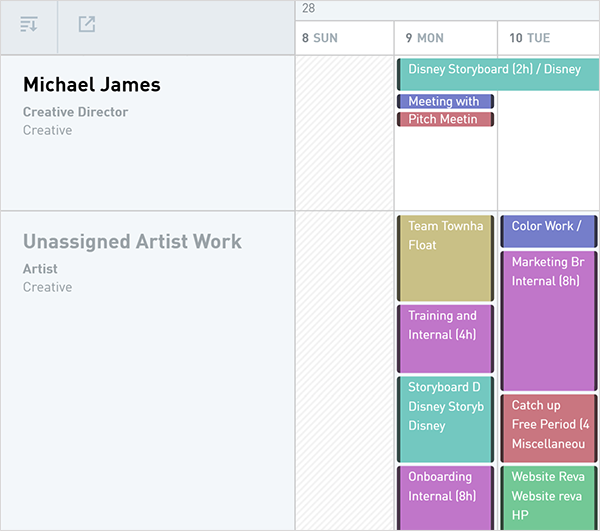 Your new Unassigned Role will appear at the bottom of the Schedule by default, but can be moved using the Sort menu. Unassigned Roles will not display any availability/overtime hours in your reports, and can be excluded from reporting by unchecking them from the People tab at the top of Reports.